MAY MY HEART A UNIVERSE TRANSFORM (After Takashi Murakami) | 2009, Bolinas Gallery. Installation in three sections, exploring how the causes of suffering may be transformed into opportunities for growth and ultimately, support. 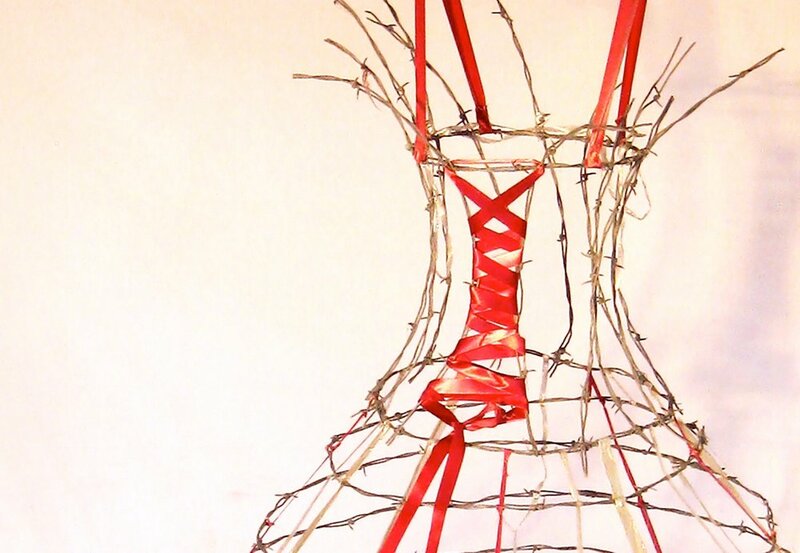 Climbing rose, barbed wire, ribbon.